Ahh even just the though of McQueen brings a massive smile to my face. 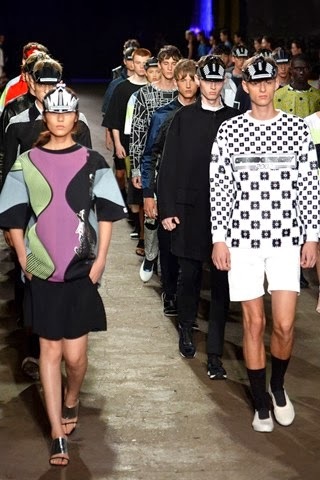 The spring summer collections, RTW, Mens & Runway all surpassing expectations it has been a pleasure to experience the world of McQueen and Sarah Burton. 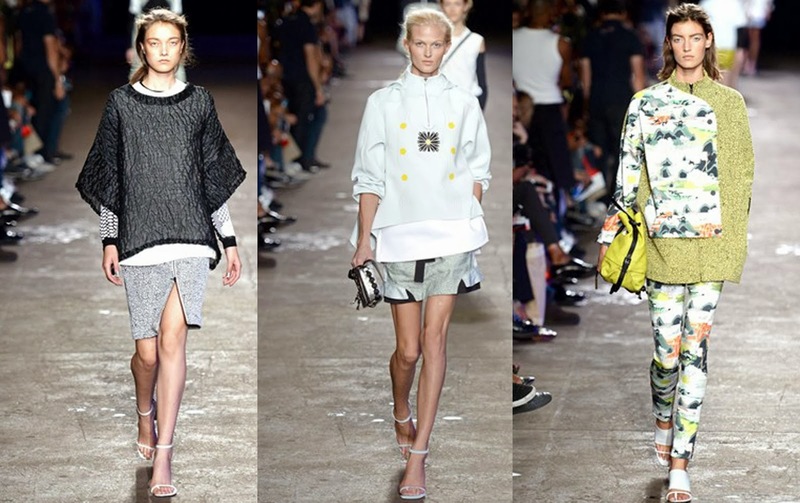 The Women’s Runway collection for spring summer instantly strikes with its monochrome and red colour palette, eye catching strong and not your typical summer colours. Then the warrior like metal head-ware, leather bra tops and metallic harnesses encircling their breastbones, necks and wrists. 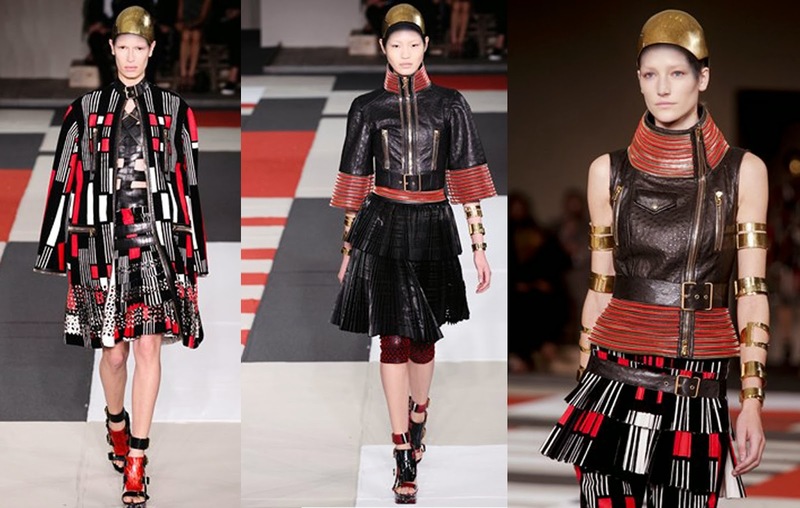 Laser-cut leather skirts rippled around them in tiers of red and black or white leather, or came as short kilts buckled twice on the hip. The collection is powerful but not aggressive, with a delicacy coming from the oscillating pleats of skirts that later appeared in tiers of red and black horsehair or ostrich feathers beneath bound bodices. 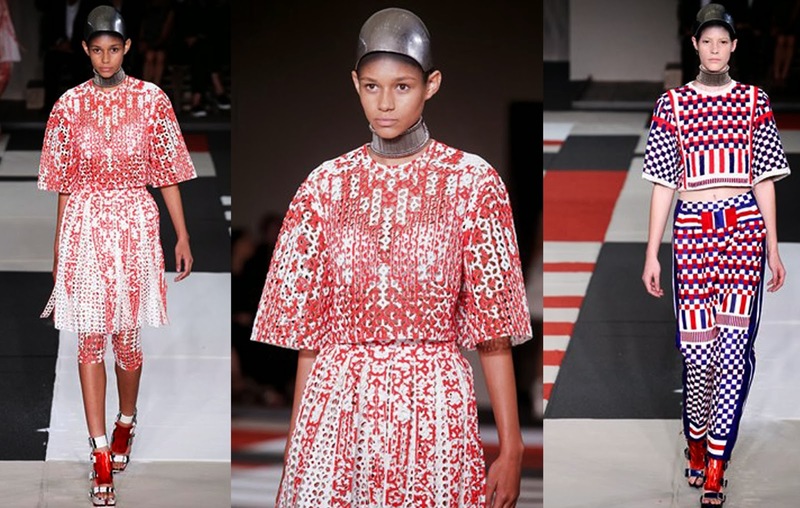 Crochet dresses were stiff with beading but still transparent, like African body art, while trousers cut to mid calf under matching full laser cut skirts gave a hint of the sporty element that is set to be a major trend for this season. Drop-waisted skirts were padded at the back for extra shape or featured wedged tiers of fabric below matching square cut jackets that, when toned down for the shop rails, will make for modern elegance, and will be added to my dream wish list….. A girl can dream. 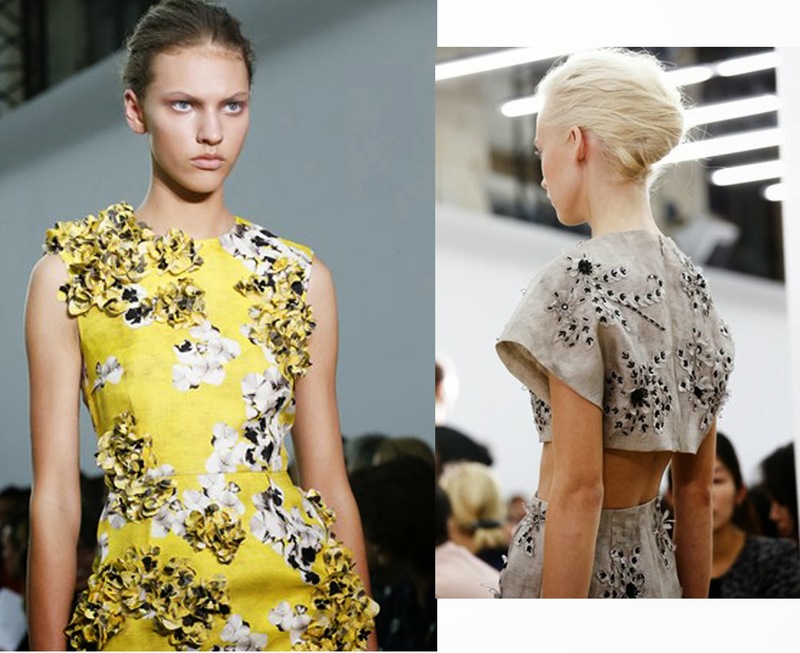 McQueen a great British brand that captures everything that is a British sense of fashion. A dare to be original, bold, with impeccable attention to detail and an eye for the next big thing, always the trend setter never the follower! One of the things that the McQueen brand do so well is too translate their catwalk collection down into their RTW collections, with the same cutting edge design, print and colour combinations paired with interesting fabrics and silhouettes you can feel like you have just stepped off the catwalk yourself, if you have the money that is. 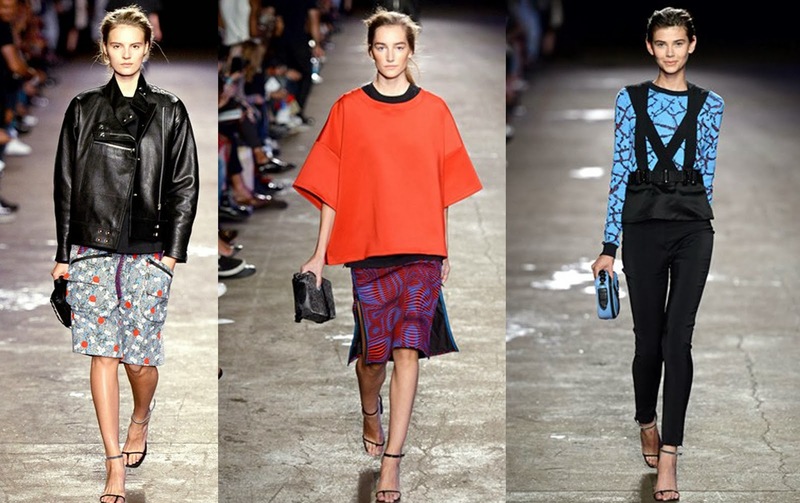 Opening Ceremony is an American brand, with only one store in the UK London of course, that made its debut catwalk appearance at New York Fashion Week Spring Summer 2014! With a colour palette that hits you right between the eyes, in a good way, a mix of culottes, side split skirts, oversized jackets and tops this collection is a winner in my eyes. With a great fun use of print and colour I really do think that there is someone for everyone! If you don’t do colour their is perfect monochrome looks, print not for you no problem go bold in colour or slick in black and white. Whatever you don’t do there is an alternative for you in OC S/S 2014 Collection. You will be smiling all season long if you can get your hands on a piece of OC. 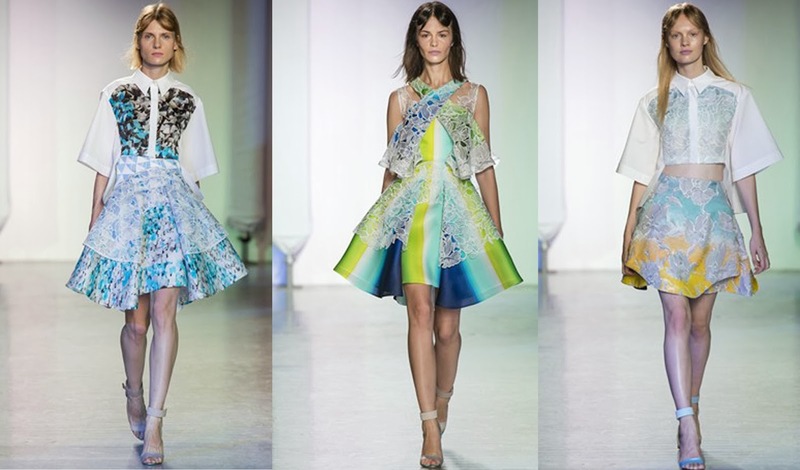 K= Katrantzou Mary… Of Course! 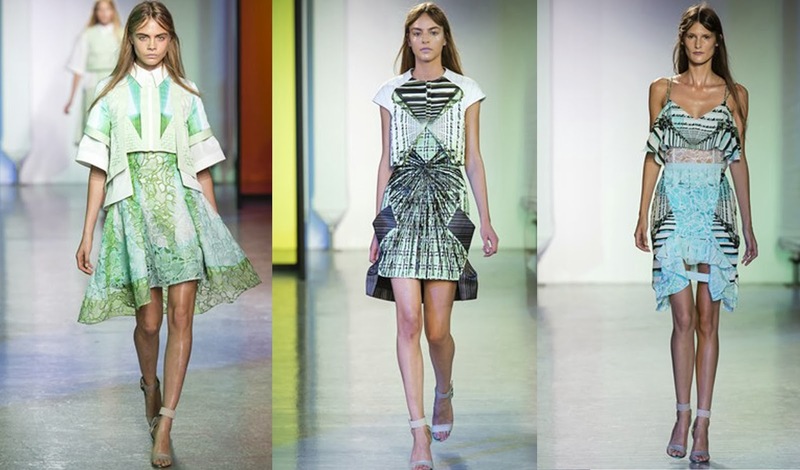 Mary Katrantzou has built her name on hyper-coloured trompe l’oeil prints (stamps, foreign money, and decorative interiors are just some of her subjects) but rewind to last winter, and she dived head first into moody hues of black and grey. 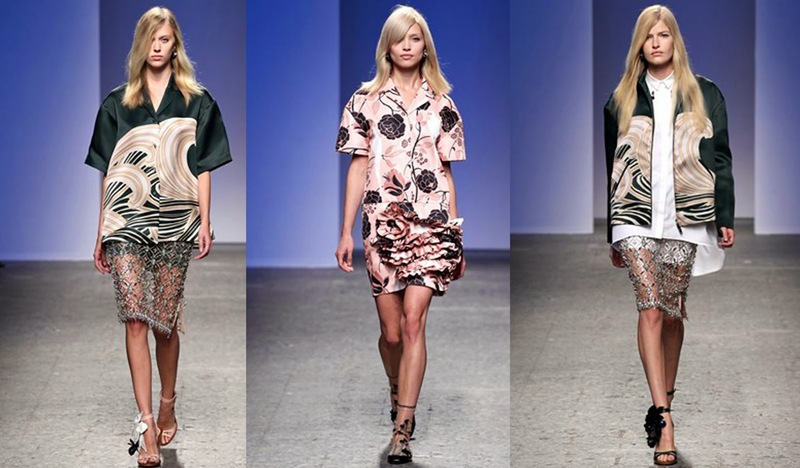 It was a smart move because it proved she could do more than just colour-saturated pattern – she could do abstract silhouettes too, and in any case, those signature prints popped back for resort. For spring summer 2014 this time it’s shoes as fetish. Enlarged detailed images of gentleman’s brogues in polished mahogany leather with punched detailing and lacing; trainers with flashes of colour and vinyl inserts; and evening mules densely embellished. There was so much going on here – even in a single dress, let alone the entire collection – that it’s hard to know where to begin. 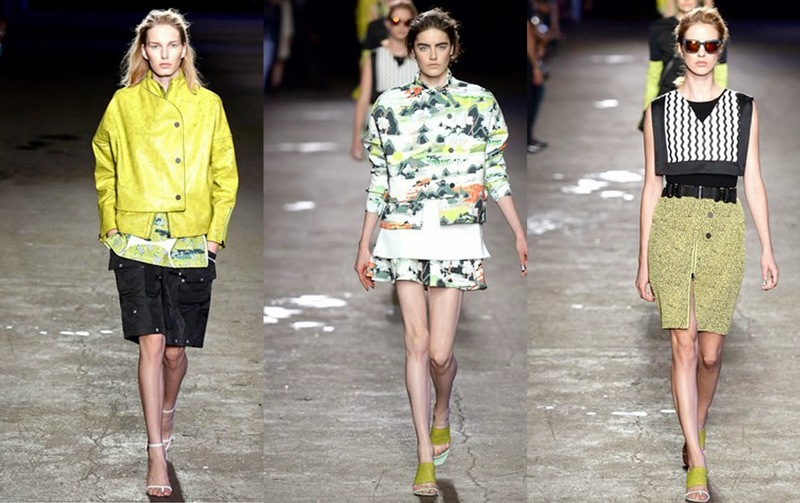 There were sleeveless bikers with scuba zips, cropped or elongated, edged in rubberised leather and bonded. Cocktail mini dresses were engineered around the body, bursting with pleats or with explosions of origami-like folds at the bust. 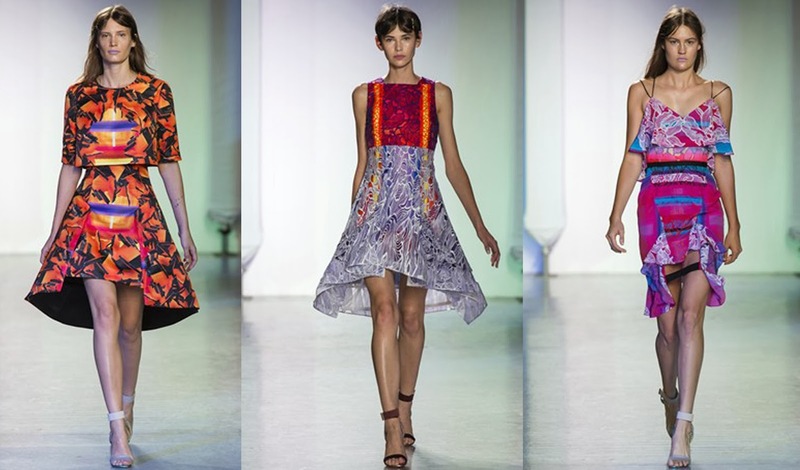 Katrantzou collaborated with the embroidery house, Lesage, searching its archive for pieces to distort and super size by 200 per cent. 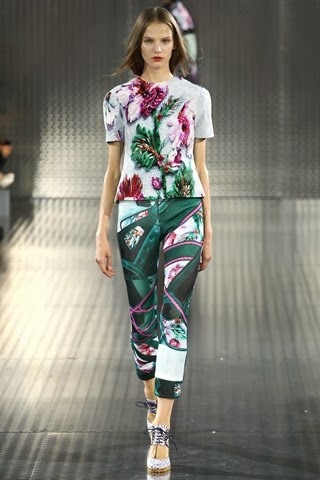 She printed the embroideries onto silk and then embroidered and embellished on top, creating a highly worked 3D effect. 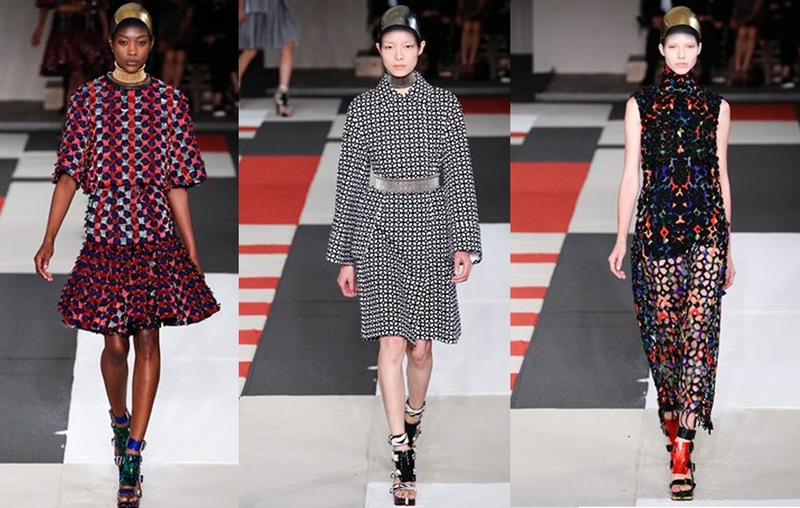 It was joyous, upbeat and fantastically feminine, but then, we knew she was capable of all of that before we set eyes on this collection – which was mesmeric, no doubt – but with print copyists everywhere, sat poised at computers, there was just a desire in the air to see the next chapter. Because one thing is for certain, this is a designer who isn’t short on ideas.